When it comes to looking and feeling my best, a lot of care goes into finding clothes that flatter my body, but nothing is more important than having skin that looks clear and feels healthy. I've struggled with acne for half my life, and spent a lot of time drying out and exfoliating my skin in an attempt to combat it, until I finally had the revelation that I needed to be kinder and gentler with my regiment. Finding products that I felt good about putting on my face was harder than I thought it would be, but I'm very happy Simple Skincare found me and asked me to try out their new line of products, all free of dyes, artificial perfumes, or harsh irritants that can upset skin. Simple recently polled women across 40 major US cities and found out many of us are not doing the best we can to care for our precious faces. 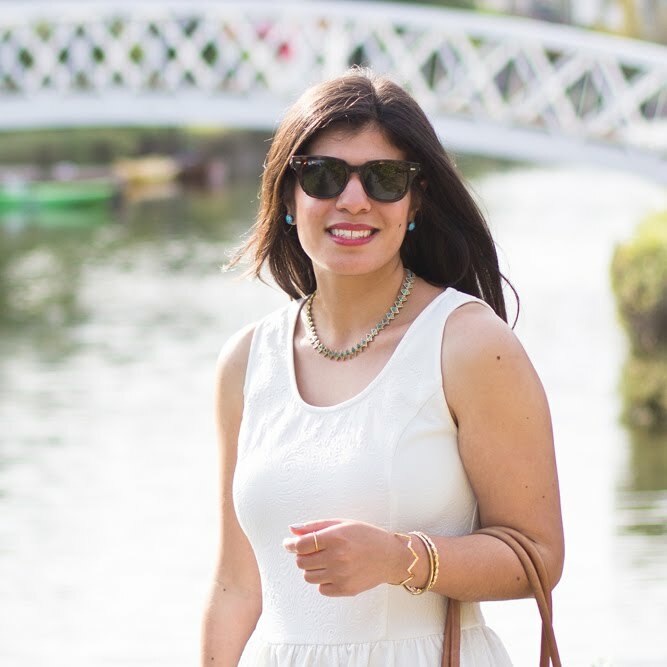 From remembering to take our makeup off at night (27% of women reported they will go two days without washing their face), or wearing sunscreen (59% of women don't), to eating right and exercising daily, Simple decided it was time to raise awareness and started the "Kind to City Skin" initiative. 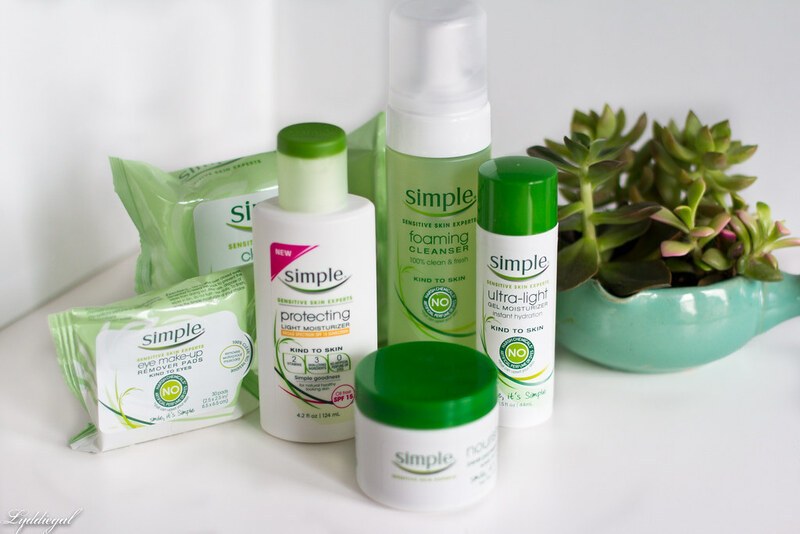 Simple sent me six products to try, three kinds of moisturizers, two types of wipes, and a face wash. I love the foaming face wash, a little bit goes a long way and it left my face feeling really clean. It had no problem getting my makeup off. The wipes, I have become addicted to. The facial wipes are the best for traveling, and also for those nights when you come home and just want to face-plant on to your pillow, but know you also should take your makeup off first. The eye makeup remover pads work so well - they had no problem gently removing my water proof eyeliner. The pack costs $7 and contains 30 pads... which is the same price as my current makeup remover, except that lasts for months and these would only last one month (or less). Still, I'll probably buy them. Of the three moisturizers my favorite is the protecting light moisturizer with SPF 15. As stated, it is very light, absorbs quickly into skin and offers protection from the sun. Essential to wear everyday, I will definitely continue to use this. Next is the nourishing cream; a little heavier but I still liked it. No SPF, so it's a good one for the evenings. The downside for me is the jar. I don't care for having to put my fingers into containers. My least favorite is the gel moisturizer; I felt like it left my skin feeling sticky, and again, no SPF. Unlike many of the women who Simple polled, now that the days are getting longer and the air is getting warmer, I try to be prepared to be out in the sun more. 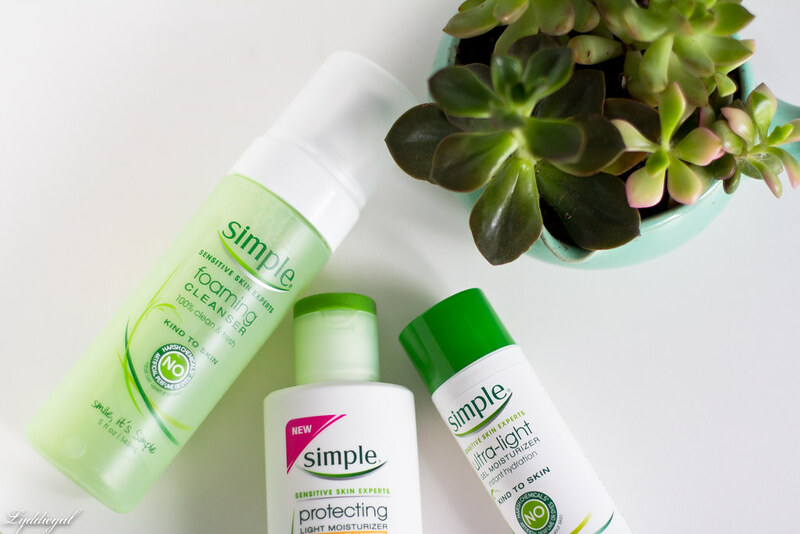 While Simple's SPF moisturizer will be replacing the one I currently use, I do use one. My downfall is of course, in the reapplication, which should be done every two hours. Healthy diets can help improve your skin, and some of the best foods for your skin are actually my favorites! Brussels sprouts (try this amazing recipe, pan seared with cranberries and blue cheese), walnuts (I love to put them in my pesto instead of pinenuts), salmon (parmesan crusted, please), and avocados (oh my god these go with everything; breakfast, lunch, or dinner). I'm joining Simple and making an effort to be kind to my city skin, and I hope you will too! Simple is offering one Chic on the Cheap reader their own set of Simple Skincare products, valued at $53. Contest is open to US residents, enter using the Rafflecopter below. You can also win prizes from Simple by following them on Twitter @SimpleSkincare and participating in the #CitySkinChallenge - they will be tweeting out daily challenges to help you reveal your best skin. I'm participating in this sponsored campaign for Simple Skincare on behalf of One2One Network. As always, my views and opinions are my own. What a great review! I need to try these Simple products. I always struggle with my skin, too! I actually just started taking better care of my sking, better late than never. I wear sunscreen every day now and use a daily moisturizer and make sure to take off my make-up every night. I was just thinking about switching up my skin care routine for the summer. I love Simple products. Great review! This was such a nice, thorough review! 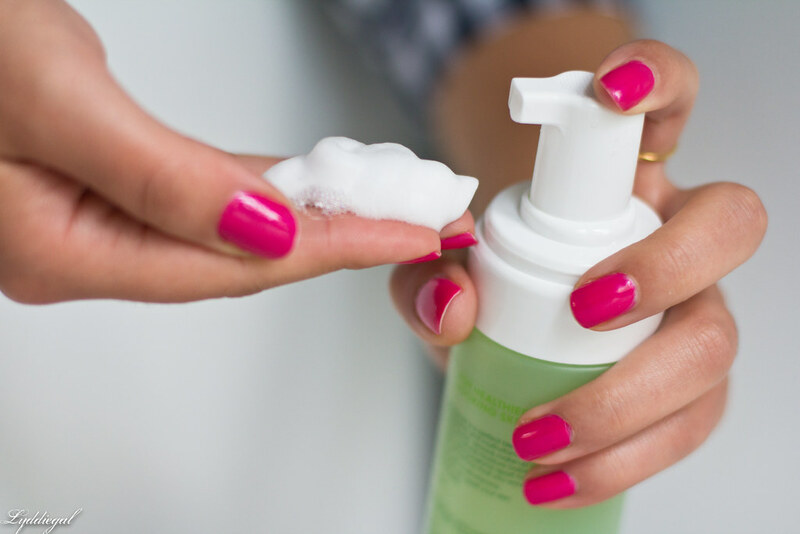 The cleanser seems really nice for my sensitive skin! I love using simple products! I don't travel without the face wipes and eye makeup removers. They are a great thing to always have on hand! I've heard so many different reviews about this brand. Thanks for giving your honest opinion Lydia. My skincare habits are relatively good. I always, always wash my face before going to bed and moisturizer. I wash in the mornings as well. I am NOT good at putting on the SPF, which definitely needs to improve. Good is that I moisturize and wash my face religiously. Not so good is that I pick at things when I know better! I hardly ever wash my ace at night..awful I know. Normally it waits until morning shower. I've heard good things about Simple products! I definitely need to give them a try! Great review! Super bad, I don't wash my face nearly enough. I really want to get on top of that! Sounds like a great company! I really am dying to try those wipes :) Great review and tips! With two young kids, I'm sometimes too tired to wash my face at night - I know, that's really bad! I'm trying to remember to put wipes by my bed! I am trying my best to clean my face at night. I used to just go to bed without bothering to wash my face but after hearing the importance of washing my face it has caused me to wash even when I am tired. I love the makeup remover wipes! They don't sting the face, and are so refreshing. vaseline for my entire body at night during summer!! As I get older, I realize the value of washing my face and taking care of my skin. Would love to win this and try out their products! I am kind to my skin and wear minimal makeup to eliminate pulling at my delicate skin. But I do have a bad habit of picking blemishes! Great review dear, love the product!!! I adore simple products! I use their cleanser and their wipes! Totally missed the US only but! bummer! I try to be good to my skin by washing my face everyday, but i do not alway moisturize my skin enough. I have gone to bed without washing my face too many times to count. Since I turned 30, it is a habit I am working hard to break, but still guilty from time to time. I am bad about washing my face every night before bed honestly. I barely have any skin care habits besides moisturizing. Simple is such a great brand. Love that you're teaming up with them!